Tropical rainforests capture my imagination more than any other habitat. This is particularly true of the Amazon. I first learned of this forest in fourth grade, and it has haunted my dreams ever since. There is something deeply mysterious and awe-inspiring about it. Besides, protecting jaguars means protecting their habitats. Therefore I have both sentimental and practical reasons for caring about the Amazon’s fate. But I also love coffee. I find it to be absolutely delicious, and am quite picky about how it is prepared. Unfortunately the demand for coffee is one of the many drivers of deforestation in the tropics. This is where Rainforest Alliance comes in. They help local farmers learn how to maximize their profits, increase employee satisfaction, and minimize their environmental footprints. As far as coffee is concerned, one of their important initiatives is to encourage the use of shade farming. This technique does not require rainforests to be cleared, thereby preserving habitats for wildlife and preventing soil erosion. Much of the rain in tropical forests also comes from the trees themselves. This is why large-scale deforestation can harm local agriculture. 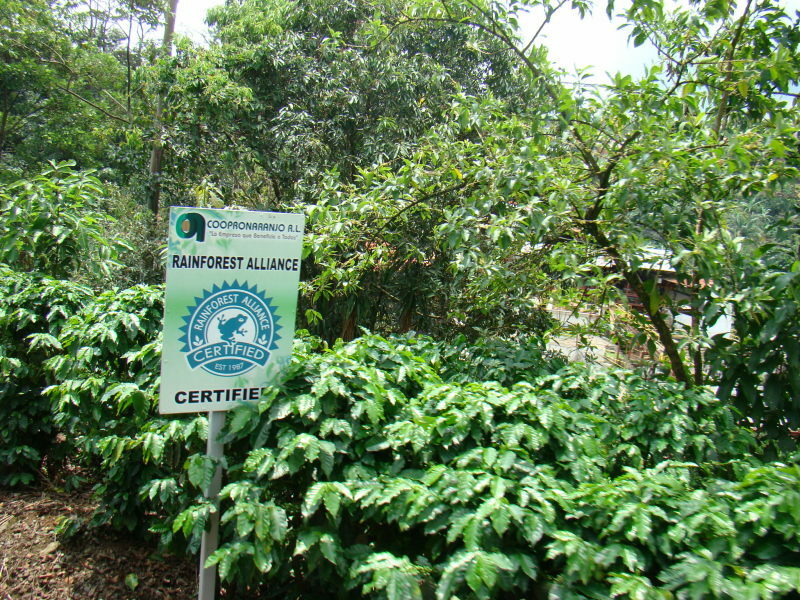 Thus purchasing Rainforest Alliance Certified coffee has several benefits. It protects tropical wildlife, helps coffee growers achieve higher standards of living, and preserves some of the most astonishing ecosystems on the planet. If you want to learn more about Rainforest Alliance, I have added a link to their main site in the “Allies” column on the right-hand side of this blog. 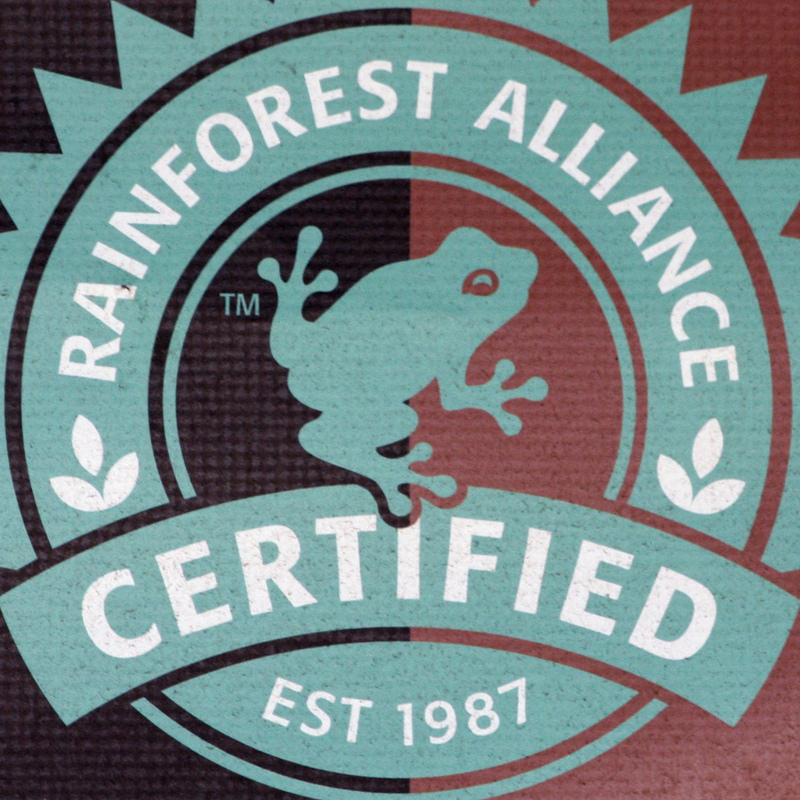 Clicking this link will also take you to a page from which you can search for Rainforest Alliance Certified products. Next Can You Spot the Snow Leopard?